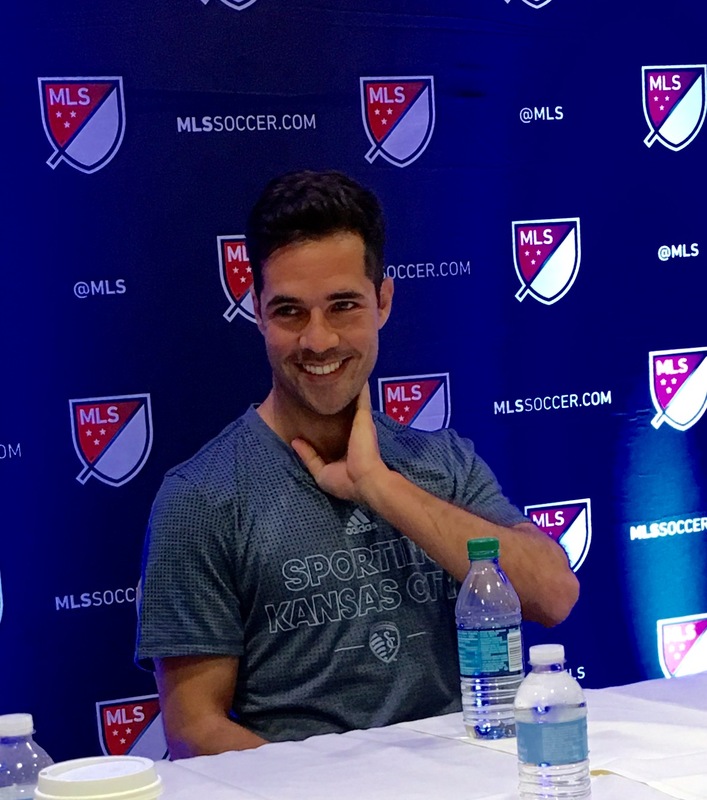 Benny Feilhaber lobbed some truth bombs on the USMNT situation with Jurgen Klinsmann today. 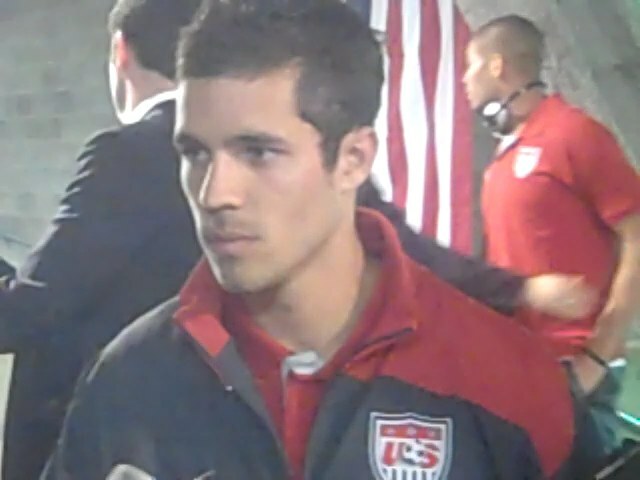 Reporters who still cover the squad will no doubt have more complete quotes and analysis and so on, but personally, I agree with Feilhaber a lot (more so than with Wambach or LD's comments, for example). Anyway, here's what I transcribed from the MLS media roundtable session. For me personally, I’ve accepted the fact that Jurgen’s not going to call me. If I played the year that I played this last year and didn’t get called, I’m not getting the opportunity under Jurgen. That’s something I just have to accept. It’s - I wouldn’t say frustrating, I’m almost sad, because I feel like I’m playing the best soccer of my career, but I don’t get the opportunity to play for my country. So yeah, it’s something that I’ve just kind of accepted. It just is what it is. It’s not going to happen with Jurgen as the coach. Does that drive you at all? Do you use that as motivation? Not really. A lot of people get driven by things that they don’t get. I’m more driven by being able to do things, like more in a positive way, I guess. I loved winning MLS Cup with Kansas City, I loved winning Open Cup, I love performing at a high level every week last year, getting goals and getting assists. All that stuff drives me. The accolades that come with it are not the thing that I’m thinking of, but that’s nice, too. All those good things drive me to continue playing well and I’m hoping that I continue that way this next year and for however long I can keep playing. Jurgen seems to have an issue with MLS – does that surprise you for the coach of the US national team? I don’t know. I’m sure there are some other coaches that said some negative things about MLS as well, but – is it surprising? Not really. From what I see, I think that Jurgen takes some players in MLS and uses the fact that they’re in MLS to maybe not call them up or whatever. You look at some of the top players that played this year – you take a Sacha Kljestan, you take a Dax McCarty, you take a Matt Hedges, I’m sure you could go on and on, these guys aren’t getting an opportunity. So it’s not just me, there’s people like that. There’s people in Europe, too. I can’t name a lot of guys, because I don’t know some of the younger guys, but like an Eric Lichaj, he’s been playing well in Europe for countless years and he hasn’t really been given any opportunity either, so, you know, there’s guys in MLS and guys in Europe who don’t get opportunities with Jurgen for whatever reason. I think that a lot of these issues - and maybe I’m going off topic a little bit, but a lot of these issues that some people have with foreign players getting called in – I have zero problem with that. I think FIFA allows national teams to get players that weren’t necessarily born in certain countries, and I think that’s an advantage that any national team coach of any team should take advantage of, but I don’t think that that Jurgen calls in the best players that are available to him. That for me is a problem. There’s players that are better than other players that he doesn’t get – that don’t get an opportunity with the national team. That for me is a bigger deal than anything else. Everybody points fingers at certain things, but for me, that’s the most important thing. I think the – I’m just talking now, because I know this wasn’t the question, but in regards to how a coach should approach a team, not just a national team, but just any team, there’s obviously two duties: One, that’s making the best team that you can possibly make with the players that are available to you and Two, try to continuously improve that team so that it doesn’t stall in any way and continues to improve. And for me, Jurgen seems to try to do the second one without doing the first one. He’d rather put young guys on the team who could potentially become important on the team and leave out players who can make the team better right now. And for me, that’s the number one job of the national team coach – of any coach – is not to make the team as good as he can make it in five years, but to make it as good as he can make it right now and to continuously improve it for five years. That he doesn’t do - his job. Because there are players in the pool that do not get called in that have performed well enough on the field to get an opportunity. That is my biggest problem with how Jurgen selects his players. Who would have expected a bunch of bridge players to be the U.S. national team with real guts?